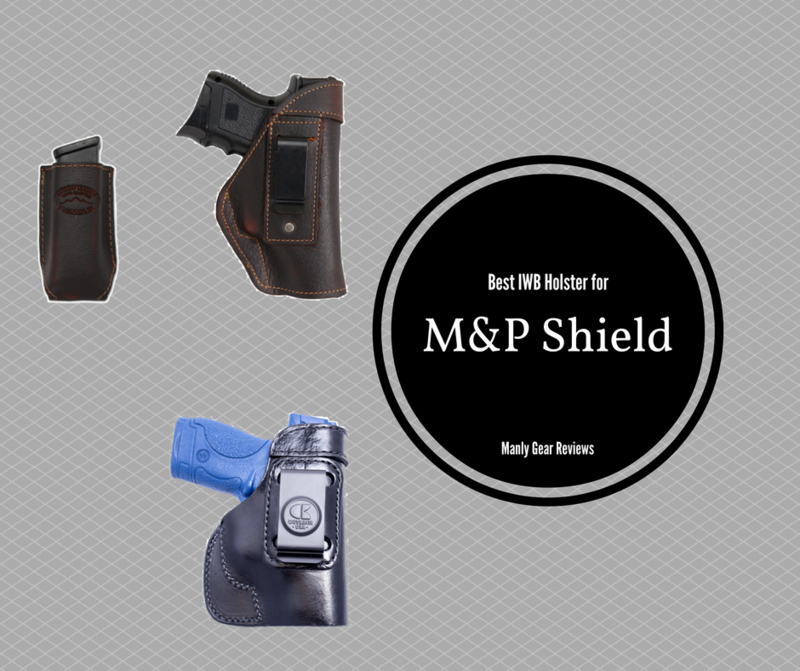 Most people realize the M&P Shield by Smith and Wesson is an excellent pistol for self-defense. It has a nice feel in the hand, is known for decent accuracy and most importantly its reliability. That said, this gun is a bit bulkier than other single stack options, and you have to be really selective about the holster that you use to retain it throughout the day. It’s tough to conceal a pistol this bulky using an exterior holster, which is why an IWB or in the Waistband holster is the best option to really consider strongly. I don’t own an M&P personally, but I know people who do and I’ve personally tried out every holster on this list. My buddies are always talking about their pistols and explaining what it is about different holsters that make them good or bad, and I can say with confidence that I’ve assembled a list of quality holsters here. They’re durable, comfortable, affordable and most importantly reliable. It’s tough finding the right holster for you, but each of these offers something unique that buyers might value. Some emphasize comfort, others pistol retention. So sift through these reviews and find the option that’s going to fit your preferences the best. Smooth Draw – When carrying a pistol it’s usually for self-defense, which means it needs to be readily available. The holsters should allow a fast and smooth draw in order to be useful for this purpose. Retention – The last thing you want is for your pistol to slip out of your holster and to fall on the ground, no matter what you are doing. That’s why strong retention is desirable, and the better the retention the better the holster in my opinion. Comfort – It’s difficult wearing a holster all day long no matter what type it is, but the uncomfortable ones are so much harder to deal with. A good IWB holster needs to be very smooth to the touch and comfortable to have pressed against your skin. Clip Hold – Most of these holsters are clipped into place over a belt or on the side of your pants or shorts. They need to lock firmly in place otherwise you’ll experience wiggling during movement, which isn’t comfortable or very subtle. 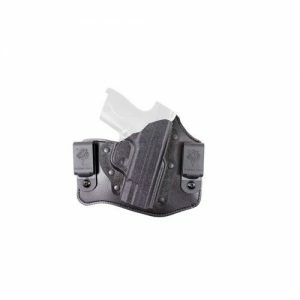 The high ranking holster come with tight clips that secure them in place well, but like anything else, clip strength varies between holsters. Cost – I don’t like spending more than I have to on a holster or anything else really, and neither do most other people. That’s why cost was one of the considerations made when choosing each of the holsters on this list of potential options. This CYA M&P Shield Waistband holster is a good solid carrying option for those looking for a lightweight product that’s comfortable to use over the long-term. It locks firmly in place, thanks in large part to the really wide belt clip that it comes with. This holster is made from molded plastic and is lightweight and easy to adjust to fit you just right. It retains the weapon nicely, and there was never a concern about it sliding around or coming loose. This leather holster by Outbags is just the tool needed to keep a pistol securely tucked away until it’s needed. It’s form fitted and keeps a snug hold on any M&P pistol. 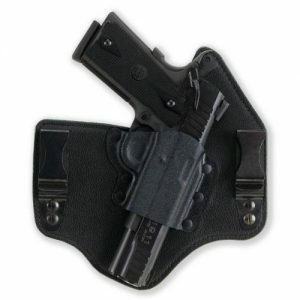 The holster comes with a rugged clip that locks firmly in place and doesn’t give during use. 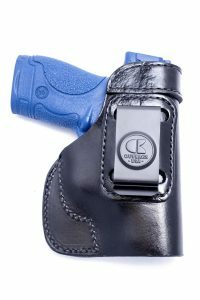 There’s very little wiggle while walking, and the holster is buttery smooth and comfortable. It’s an excellent value for the price. This holster is a real pleasure to wear because you can run around without worrying about it slipping or sliding at all. You can have faith in its performance, which is vital in a real critical situation. 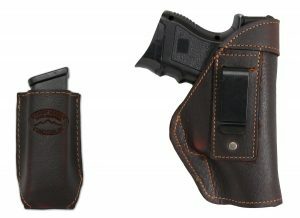 This Barsony Brown Leather holster is the product that you pick up when you value comfort over everything else. It’s so soft, so supple and so smooth that your skin won’t have a chance to become aggravated during use. Sure it’s a bit tougher to re-holster your gun while using it, since there isn’t much stiffness in the leather, but the holster keeps the firearm securely in place when not in use, and it’s so comfortable that it’s a real pleasure to wear all day long. The Desantis Intruder holster is a beautiful product that’s comfortable to wear and relatively reliable. It comes with a couple of built-in mag holders which is nice when you want to make sure you have extra ammo handy. Once you lock this holster around your belt it’s not going anywhere and that’s one of its biggest assets. Unfortunately the hold on the gun itself is a little weaker than some other holsters. The gun remains in position during normal movement, but jumping or falling down will dislodge it in most instances. The Galco KT652B Kingtuk holster is one of my favorites on this list. Though it’s a bit bulkier than some of the other options, it offers excellent gun retention and there is never a risk of your firearm slipping out during use. 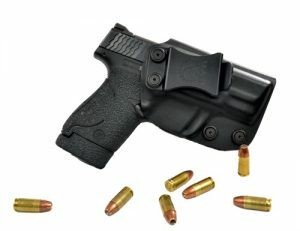 The holster sits comfortably low in the waistband and is quite easy to conceal despite its size. Even though the retention on this thing is awesome, there’s still a smooth draw, which is what makes it such an excellent accessory to a good quality M&P.